Provides durable high-gloss shine in one easy step. 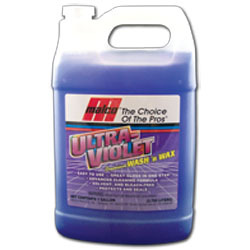 Advanced cleaning agents and waxes work together to remove the toughest soils and leave a rich, lustrous shine. Great grape scent. Dilute 1:20. Options: 1 Gal. 5 Gal. 64 Oz.